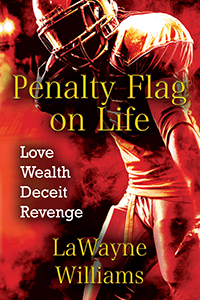 LaWayne Williams’s “Penalty Flag on Life.” Number one draft pick Noah Boss is granted seven days by his newly acquired NFL team to settle the affairs of his murdered brother, but finding out who killed him makes returning to assured fame and wealth a difficult decision. A teenage oath he made to his deceased father has Noah struggling against the desire to seek revenge. B.H. 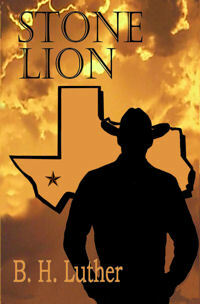 Luther’s “Stone Lion.” Terrorists are hell-bent on crossing the border into Texas to infiltrate and become established in major cities across the U.S. to eradicate the U.S. population with a biological weapon of mass destruction. But a person with paranormal skills gathers information from dead criminals or victims and follows a ‘word puzzle’ leading to a large ranch in Texas and the man who has the skills to confront the terrorists. 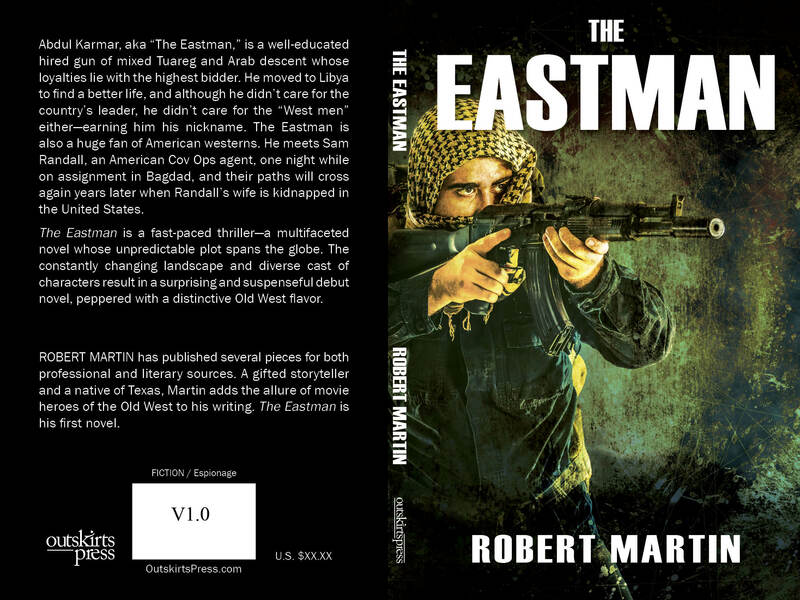 Robert Martin is self-publishing a book with Outskirts Press. And he wants your help deciding his book cover. Abdul Karmar, aka “The Eastman,” is a well-educated hired gun of mixed Tuareg and Arab descent whose loyalties lie with the highest bidder. He moved to Libya to find a better life, and although he didn’t care for the country’s leader, he didn’t care for the “West men” either-earning him his nickname. The Eastman is also a huge fan of American westerns. He meets Sam Randall, an American Cov Ops agent, one night while on assignment in Bagdad, and their paths will cross again years later when Randall’s wife is kidnapped in the United States. 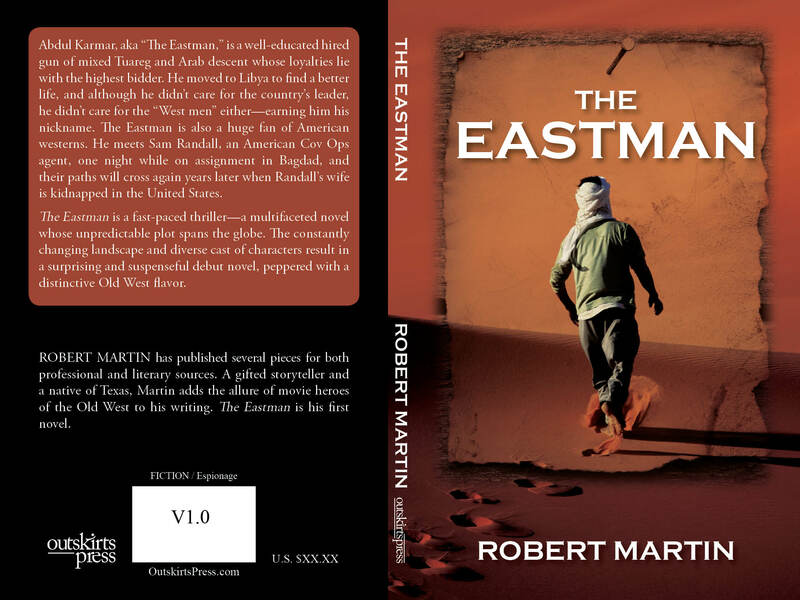 The Eastman is a fast-paced thriller-a multifaceted novel whose unpredictable plot spans the globe. The constantly changing landscape and diverse cast of characters result in a surprising and suspenseful debut novel, peppered with a distinctive Old West flavor. Robert Martin has published several pieces for both professional and literary sources. A gifted storyteller and a native of Texas, Martin adds the allure of movie heroes of the Old West to his writing. The Eastman is his first novel. Please take a look at two possible covers below and then vote on the choice you recommend for Robert. W.F. James’s “The Art of the Haunted.” When a mysterious stranger disrupts a hideous crime of violence, the young perpetrators turn their aggression on the man. But this is no ordinary interruption. The stranger overcomes and subdues his aggressors. This story is a heart-wrenching, suspenseful thriller with compelling insight into what turns boys into violent men.